WooCommerce Multi Currency allows display prices and accepts payments in multiple currencies. WooCommerce Multi Currency is the best currency converter plugin for WooCommerce. 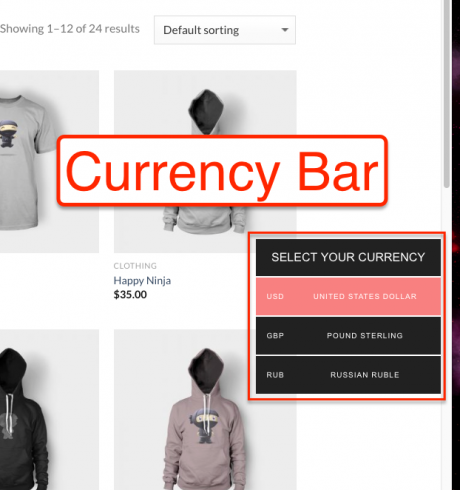 If you have a WooCommerce store, WooCommerce Multi Currency is a must-have plugin for you. WooCommerce Multi Currency allows your customers to switch between currencies and helps your store accept payments in multi-currency. The exchange rate can be set up manually or automatically. The plugin can automatically get customers geolocation and display the price in the customers’ native currency. 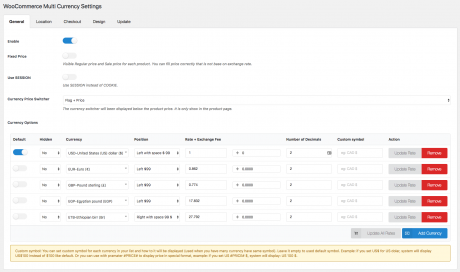 Auto update exchange rate: The plugin automatically update exchange rates. You can set the time for the automatical update: every 30 minutes, 1 hour, 6 hours, 1 day, 2 days, 3 days, 1 week, 1 month. Successful update exchange rate email: The plugin will send a notification email whenever it updates the exchange rate. 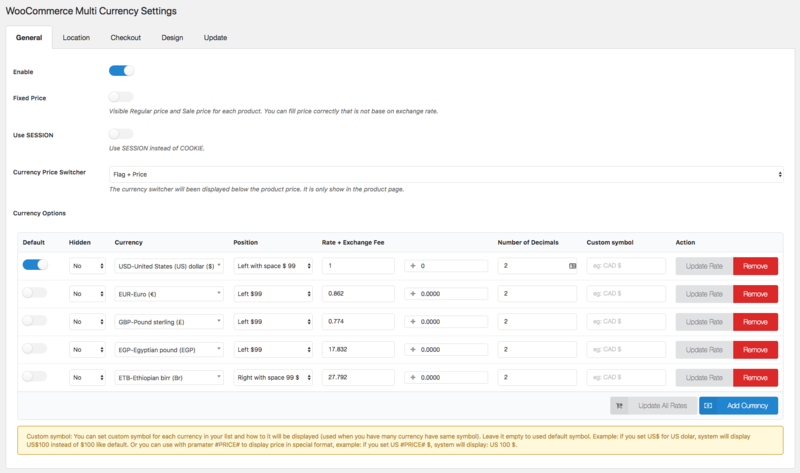 Set exchange rate manually: The plugin also allows to set up the exchange rate manually. Exchange fee: Every time you exchange money from one currency to another, the bank or money transfer operator may apply a currency exchange fee. The difference between the exchange rate they decide to apply and the real exchange rate traded in the market is the currency exchange fee. WooCommerce Multi Currency allows you to add permanent exchange fees to exchange rates. Fixed Price: WooCommerce Multi Currency allows you to set up custom prices in different currencies in every product. The fixed prices will overwrite the prices calculated by exchange rates. Hidden Currency: The plugin allows you to hide currencies which you do not want it to be shown on the front-end. Select currency exchange rate sever: You can select to update the exchange rate from VillaTheme.com, Google Finance, Yahoo Finance. More exchange rate server will be added in future. Use SESSION: The plugin will use session instead of cookies to save the selected currency. Currency Price Switcher: A switcher appears under the product price. Allow customers to switch the price between currencies. 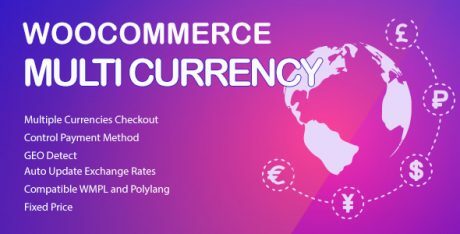 WooCommerce Multi Currency can automatical detect customers’ native currency base on their country or language. *Important: Please take note that the auto-detect county features may not work properly with websites/servers have cache. Please try out the free version to check if it works fine on your website. Detect currency base on customers’ country: The plugin will detect customers country base on their IP address, then select their currency to display prices. Currency by country: You can select which currency will be displayed to customers from which country. Approximate Price: With this feature, prices will be displayed in the default currency. But under that, there will be approximate prices which are displayed in customer’s native currency. Help customers know how expensive/cheap products are. Auto select currency base on Polylang language: The plugin will select a currency to display prices base on your site language. Example: there are 2 languages on your site English and Spanish, you can select to display prices in GBP in English site and in EUR in Spanish site. Auto select currency base on WPML language: Similar to Polylang, but prices will be selected base on WPML’s language. WooCommerce Multi Currency allows you to select checkout currencies. You can select one or more checkout currency. *Important: Please take note that in order to display a payment gateway on the checkout page, that payment gateway must support your default currency. Example: If you have South African Rand ZAR as your default currency, then it is not possible for you to enable PayPal on your checkout page. Because PayPal does not support ZAR, even if you used Multi Currency to change ZAR to USD on front-end. Allow multi-currency payment: Customers can purchase in their selected currency. In order to use this feature, you need a payment gateway enabled on your site that supports the customer selected currency. Selected check out currencies: The plugin allows you to select check-out currencies. For example, you can display prices in 4 different currencies on your shop but accept payment in 2 currencies only. Display payment methods based on currency: You can select which payment gateway will appear on check out page base on currency. Checkout Currency on Cart page: Change the currency on Cart page to check out currency. The plugin provides you shortcodes to display currencies exchange widgets, exchange rates on front-end. Currency Selector widgets with different front-end styles. Exchange rate shortcodes allow you to display live exchange rates on front-end. [woo_multi_currency_exchange price=”100″ currency=”EUR”] Example I have USD as my default currency, this shortcode will display the EUR amount converted from 100 USD. The plugin can be displayed on the front-end as a widget or a currency bar. Currencies bar design: – Type in your currencies bar title, it is “Select your currency” by default. – Select currencies bar position left or right. – Style: there are 5 styles for you to select currency code, currency symbol, flag, flag + currency code, flag + currency symbol. – Color and background color. – Conditional tags: select which page where the bar will appear by using WordPress conditional tags, WooCommerce condition tags. 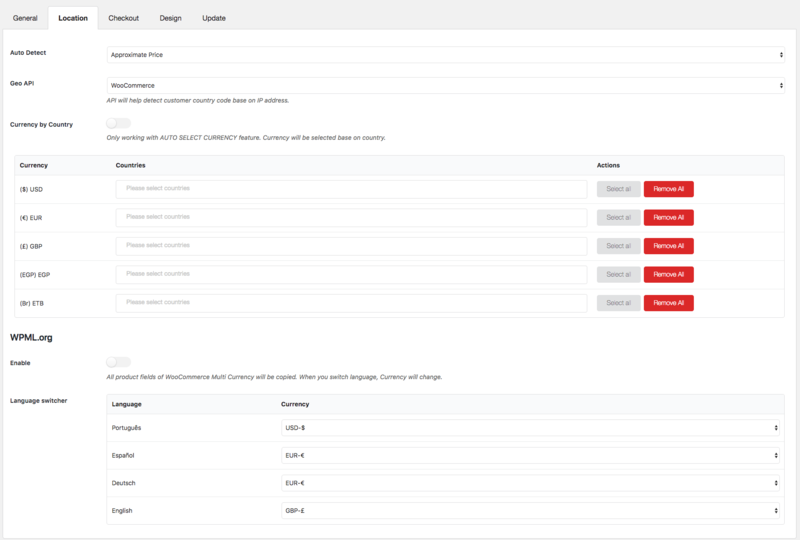 Widget design: You can custom the widget title and widget styles are available to be selected. Custom flag: Some country use the same flag, this option will help you to display country a currency right. Custom CSS: All of these options are not enough? You can add your own CSS to design your widget and currencies bar. Collapse Currencies Bar: Allow to minimize the currencies bar on the front-end. The currencies will appear as one currency and display full when customer hover their mouse on it. The plugin is developed in optimal settings. After successfully installed, you just select currencies you need and click Save. All the support request will be answered within one business day. We advise you to try the free version before purchase to make sure the plugin will work perfectly on your site. If you find out Multi Currency is not compatible with some common plugins. Please let us know, we will check if it is possible to make them compatible. List of plugins that work with WooCommerce Multi Currency. Please update version 1.3.4. We added more currencies. Hello, Thank you for your question. Please buy 5 times. My mean quantity = 5. You will get support 6 months and unlimited domain. Hi. What is the list of country currency in this plugin? I saw demo only 8 kinds of currency. is it right? List currency same with WooCommerce plugin. You can add currency unlimited in Currency filter. Also one more, is it availble use on Top right menu? Can i buy the proversion without making a paypal account ? I’m so sorry. Payment method only support Paypal. They sort of kicked me..
Don’t be sorry. I like your plugin. Please let me know in some way if there should be an alternative way of obtaining this plugin without paypal in the future. They banned me and i can’t do anything about it. Yes. Woo Multi Currency is working with External/Affilate product. He already does the currency conversion? Is this plugin have shortcode so i can use it on my top header menu with a little css modification ? Hello, Thank you for your question. You can use shortcode put everywhere. It is similar other shortcode. Hi thank you for your answer, but i can’t find any shortcode, could you tell me what the shortcode is so i can put it anywhere I want. You can see on description of Woo Multi Currencies. I put all shortcodes on. I’m looking for a plugin, that can do the following thing: I want to show the price in GPB (on the shop page and also on the single product page, also for variable products) and right next to it have a bracket with the price in PLN (based on some automatic currency calculator). It would be the best, if the plugin can show the estimated price in PLN also in order sumamry. Can your plugin do that? Approximate price will show below product. It is not show in checkout page or cart page. But If customer select PLN currency, I will auto currency calculator. 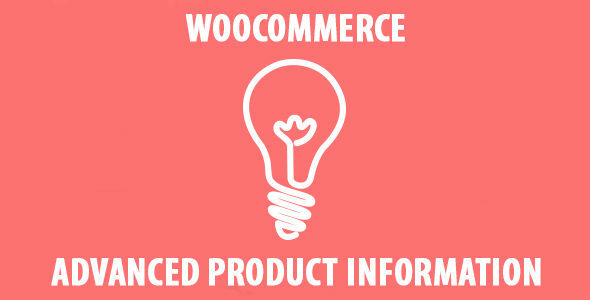 How does the plugin handle currency in woocommerce reports, does it report the payment with the store currency or does it split the report with each currency paid in the site? What happen with payment process, does the plugin have any influence on the payment currency and method? Hello, I just installed free version to test before purchasing the pro. My shop base currency is MYR. I tried with EUR to checkout, and it went correctly up to checkout page, but on PayPal page it shows total (which was supposed to be EUR) in MYR currency. What did I do wrong? I am Pamela from VillaTheme. Thanks you for your question. Have you turned on “Allow multi currency payment” ? If you have any other question, feel free to ask us! Yes I did. I tried again and still the same. Can you please have a look? http://www.daiesu.com/shop (the switcher is at footer, I am planning to buy pro to be able to put shortcode at header as I dont have sidebar). Dear Ilyani, if you want to do those things, you have to create custom work for us. If you have any other questions, feel free to ask us! I have purchased the paid version. Will the download link for the plugin be sent to me? I bought the plugin and have a question. Is it possible to show multiple currencies on my website(for reference), and receive payments in only €? WooMultiCurrency is able to show prices in multiple currencies but receives payments in only one currency. In “CURRENCY OPTIONS” choose the default currency that you want to receive payments. -Then go to “GENERAL OPTIONS” untick the “Allow multi currency payment”, now your website will only receive payments in default currency. Hi, I have a prepurchase question. Are there any extra steps to get geolocation to work for currencies? I just need the plugin to automatically set the currency on the site for the customer so that they may browse their products in their home currency. Some plugins require assigning a currency to each country indepwndently to work. Or will this plugin automatically detect the customer’s location and and set the currency without any additional steps on my part? Thank you for paying attention to our plugin. You will need to set each country with a specific currency if the country is not set with a currency, the plugin will show the default currency. Are there extra steps involved with using geolocation? Our company deals with multiple countries and we just need the currency to automatically convert all the currencies on the website to the shopper’s country’s currency when browsing the site. Will we need to set every country with a specific currency assigned to it or is it already preset so all we have to do is enable the geolocation and it changes the currency based on location? I apologize, but there is not really a way on this page to continue the last conversation above. I’m a bit confused on the last response. What do you mean by “default currency”? Does this mean the “base currency” for the entire website or are there pre-programmed currencies already set for each country? I would just like to avoid inputting information for 196 countries if possible. If you use auto detect, Your price will auto change follow your customer’s IP. Currency rate will auto load from Yahoo Finance. You can not fill. show/hide payment gateway based on currency is possible? Hello, before purchasing I would like to know if it would be possible to use any price filters, I mean to filter or set price range for Approximately or converted currency prices. 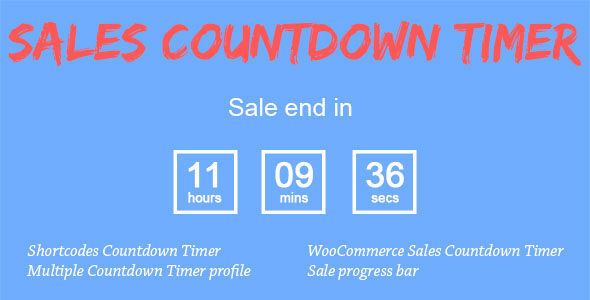 Hello Dalia, our plugin works perfectly with WooCommerce. About other price filters, there should be no problem too. 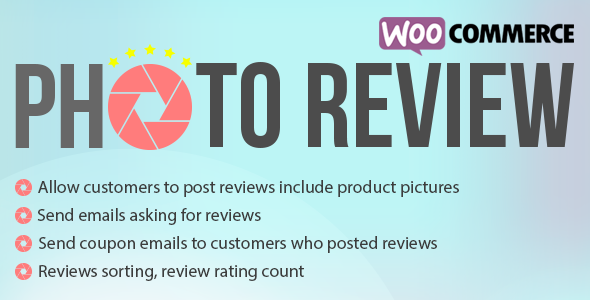 But to be sure, we recommend you to try our WooCommerce Multi Currency free version. If the free version works fine on your site, the pro version will be okay as well. To download the free version you please follow this link. I have been using this plugin for about a month and it has caused substantial problems to my site load time. If you install the pro version, it will slow down your site by 5 seconds. I went through every single plugin i had for hours to try and find out which plugin has been complicating my website and finally found out that this plugin is so bulky that I had to uninstall it from my site. Sorry for the inconvenience. The problem may be caused by a conflict between Woo Multi Currency an other plugin on your site. Please contact us at support@villatheme.com or create a topic at https://villatheme.com/supports/ we are happy to help. I found the reason. W3 Total Cache conflict with Auto detect Country. Please guide me Tq. Thank you for using our plugin. Please create a topic in our support forum https://villatheme.com/supports/ and provide your site WP login. You can see the article How to send your site information. Our technicians will help you out with the conflict as soon as possible. Before Purchasing the pro version , I would like to know if it is possible to enter the price in Canadian dollar and always show price and receive payment in New Zealand Dollar? I have ordered but not had any download? 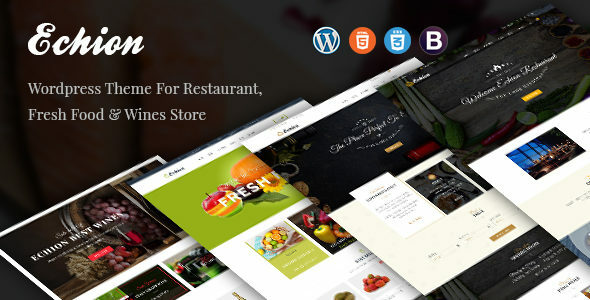 Hello Josh, if you are satisfied with our plugin/support service please visit https://codecanyon.net/downloads and give it a 5-star review. That will help us a lot. Thank you. Hello Mohinder, the auto-update exchange rate should works. Please contact us at support@villatheme.com for this problem, we may help you to check. About your second question, that is not possible now. Hi, great Plugin! We have pro version and trying to intigrate Miota. Default currency is Euro. General Settings for Euro: … Rate: 1 Decimals: 6 …. General Settings for Miots: … Rate: Empty Decimals: 6 …. We set up in Update” Auto Update Exchange Rate to 30 min from Google Finance. But Miota currency is not updating. How can we solve the problem? Do we have to enter a rate in “General” for Miota? But this will override “Auto Update Exchange Rate”, right? When enter 1 it shows in frontend same price like Euro, when its empty there will appear 0,000000Miota. Miota exchange rate does not up-date because google finance does not support it. Plugin looking good, how about cryptocurrencies? I’d like to set base price in USD and show it in BTC, Litecoin and Ethereum throughout the shop, while having these updating automatically, is it possible? Thanks! Hello Alex, That is possible for our plugin to work as you want. The exchange rates can be updated every 30 minutes. I bought the plugin for the approximate function, yet it doesn’t work properly as it doesn’t takes TAX into account which makes the calculations way off and unreliable. They promised me an update for a fix with 2-3 weeks, yet it’s been over a month and no update has yet occured. Will change rating when this issue is fixed. Please contact us at support@villatheme.com. We will check your problem. I have been having extreme difficulty with this plugin. After initial installation there were several problems that we eventually found work-arounds for, but now, after WordPress 5.0 has been released, this plugin has become completely unresponsive and has created a ton a problems in the checkout procedure of our website. The irony is, I NEED this plugin because it is the only currency converter plugin that allows you to display prices in one currency and receive payments in another. Please, PLEASE fix this plugin! We will help with the problem.